Rakesh Sharma of Bajaj Auto in an interview said that the Urbanite sub-brand of the Bajaj is going to start the production of its scooter soon which will be debuted within 6-9 months. The sub-brand of Bajaj will provide electric and future mobility solutions same like the Chakan-based manufacturer which is planning for a bright future. At the beginning of the new era, Bajaj started working on motorcycles and stopped the manufacturing of the scooter. 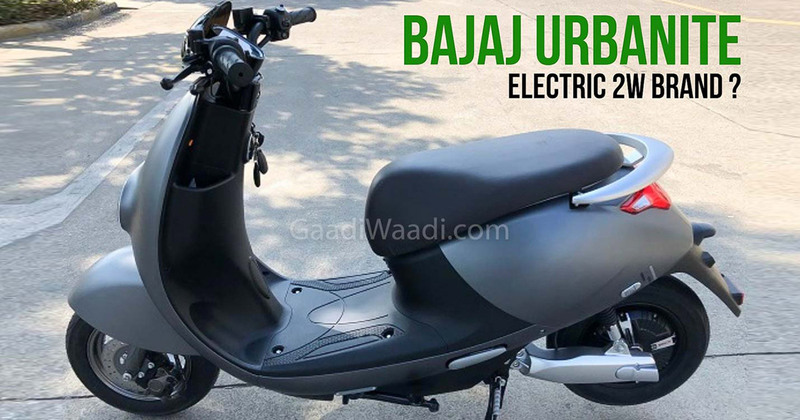 And now, Bajaj will make a comeback to the scooter with the Urbanite brand and might also retain the old names such as the Priya or Chetak. Sharma also said “Bajaj is looking at innovative and futuristic intra-city mobility solutions which are not restricted to only two-wheelers”. By this statement, we can assure that Bajaj is thinking to manufacture electric rickshaw and also quadricycles which may also be known as e-Qute. The present Bajaj Auto dealer network will not be enough to meet the demands of the Urbanite brand so a different dealer network will be set up.